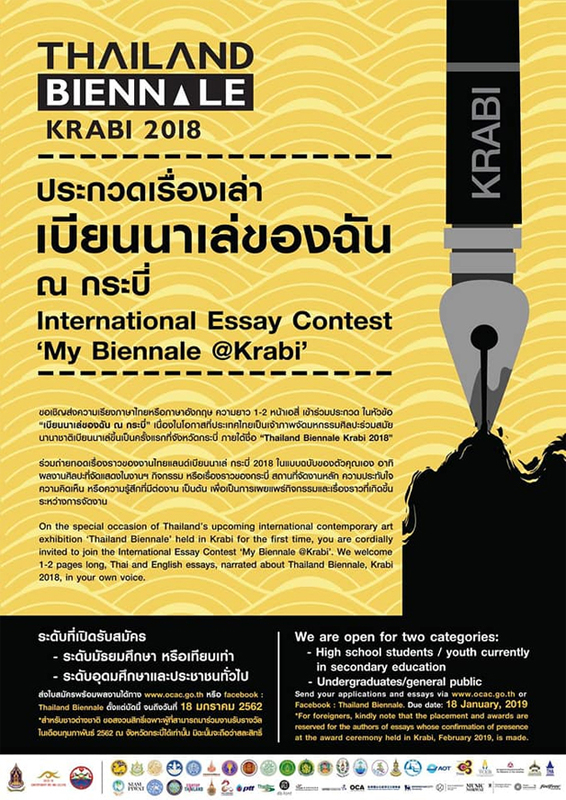 On the special occasion of Thailand’s upcoming international contemporary art exhibition ‘Thailand Biennale’ held in Krabi for the first time, you are cordially invited to join the International Essay Contest ‘My Biennale @Krabi’. We welcome 1-2 pages long, Thai and English essays, narrated about Thailand Biennale, Krabi 2018, in your own voice. The essay content should comprise the art pieces on display, activities, stories of Krabi, the atmosphere of the venues, including your thoughts and views on the exhibition. Join us and be a part of Thailand Biennale by promoting our love for the arts and experiences of the first Thailand Biennale, in Krabi. 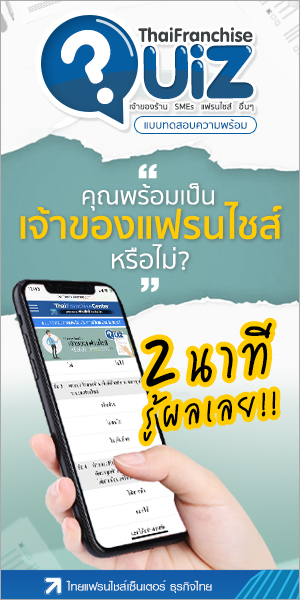 *For foreigners, kindly note that the placement and awards are reserved for the authors of essays whose confirmation of presence at the award ceremony held in Krabi, February 2019, is made.